The Laureate Fellowships are the most prestigious national fellowships awarded by the ARC with only 15 awarded this year across all universities and disciplines. 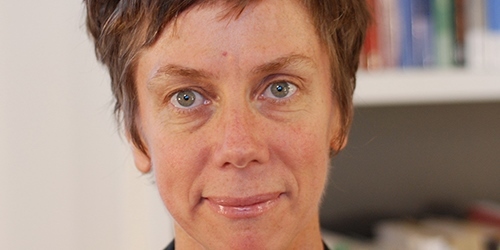 As recipient of the Kathleen Fitzpatrick Australian Laureate Fellowship, Professor Orford's research will look at the legal issues involved in intervention by external actors in civil wars, drawing on recent examples in Iraq, Syria and Ukraine. Dean of Melbourne Law School Professor Carolyn Evans said that Professor Orford was a very deserving recipient of the Fellowship. "Anne is a research leader and an exemplary academic who is in the highest esteem around the world. This research will address an issue of growing significance – whether it is legal, and if so when, for countries like Australia to intervene in a civil war. The legal and moral issues at stake are complex and important, but Professor Orford's track record demonstrates her ability to tackle such problems," Dean Professor Evans said. Professor Orford is one of two University of Melbourne Fellowship recipients, joining Professor Leann Tilley of the Faculty of Medicine, Dentistry and Health Sciences. Both Fellowships, the only two special female Laureate Fellowships awarded by the ARC, were established in 2011 with the recipients undertaking an ambassadorial role to promote women in research, in addition to their own research programmes. Deputy Vice-Chancellor (Research), Professor James McCluskey, said the awards were excellent recognition of the University's commitment to outstanding research with global impact. "The University regards these research proposals as an exceptional opportunity to enhance our capacity in an area of truly international significance," said Prof McCluskey. "Professor Orford is a research leader in international law. She has made an outstanding contribution to Australia's global research standing and reputation in this dynamic field. The project will greatly strengthen the global influence and reputation of Australian-based research in a dynamic and significant field of international law. "I congratulate Professor Orford and Professor Tilley on this milestone. As a University community we are confident they will make not just exceptional Laureate Fellows, but that their projects will make a unique contribution to Australia's research effort and reputation" concluded Professor McCluskey. The Fellowship scheme is open to Australian and international researchers with a global reputation in their field of expertise, and supports the researchers to undertake their work for five years.Fifteen Fellows were awarded this year, with up to 17 fellowships on offer annually.